Major objective of this article is to focus on overview of Virtual Office. 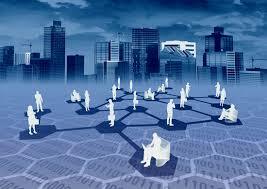 A virtual office provides communication and address services without providing dedicated work place. It differs from “office business centers” or perhaps “executive suites”, which do provide work place. A virtual office setup allows businesses and employees to operate from any location by making use of technology such as notebook compters, cell phones and access to the internet. A virtual office provides significant savings and flexibility when compared with renting a traditional work place. Meetings can always be conducted via teleconferencing and video conferencing, and documents may be transmitted electronically.